What were the consequences of Caesar's assassination? The assassination of Caesar was a turning point in the history of Rome, not only did it end the career of one of the most powerful Romans, but it also initiated a chain of events that changed the very nature of Rome and its Empire. Among the consequences of the assassination were a brutal civil war and the rise of Mark Anthony and Octavian. The death of Caesar on the Ides of March sent the Roman Republic into a crisis that ultimately led to its abolition and the emergence of the Imperial system. Caesar was a member of the Roman aristocracy and he was a lifetime member of the popular faction. This was a party of nobles who claimed to be serving the interests of the common people. Caesar became one of the most powerful men in Rome when he joined the First Triumvirate. He used his new-found power to secure a consulship and the command of several legions which he used to wage war in Gaul. Following his conquest of Gaul, he was the most powerful man in Rome and he was feared by the Roman Senate. To safeguard his position Caesar marched on Rome and this began a civil war. Caesar fought the Optimate army, initially led by Pompey the Great. He defeated Pompey at Pharsalus and later in a series of battles across the Mediterranean defeated several armies opposed to his rule. By 43 BC Caesar was by far the most important man in Rome and he had himself made dictator for life. This aroused the deep hatred of many in the Roman aristocracy. A conspiracy was formed by several leading Roman nobles, whose titular leader was Brutus, someone whom Caesar knew well. The Roman general had pardoned many of the conspirators and had even appointed some of them to high office. The members of the plot called themselves the liberators. The plot involved luring Caesar to Pompey’s theatre where gladiatorial games were to be held in his honor. The Roman leader was notoriously reckless when it came to his personal security. He refused bodyguards and he declared that to live surrounded by guards was not a life he wanted. Caesar had only a few personal attendants who escorted him everywhere. 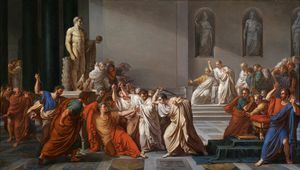 On the Ides of March (15th of March), the conspirators lured their target to the Theatre of Pompey. After he arrived, one of the conspirators seized his toga and up to sixty assailants stabbed Caesar. Caesar later died because of blood loss. What were the motivations of those who killed Caesar? They were convinced that he wanted to become king and end the Republic. The killers of Caesar were all Republicans and they stridently believed in the Roman Constitution and the rule of the Senate. Brutus and the others thought that they were delivering the Romans from the tyranny. The assassination of Caesar was carried out to protect the Republic and to preserve the ancient Constitution of the city. The will of Caesar was surprising because he designated Octavian, his grand-nephew, as his son and heir. Mark Anthony who was not even mentioned by Caesar in his will. Octavian immediately returned from Greece and instantly became one of the most influential men in Rome. This only added to the confusion in Rome. The Senate decided to support Octavian because they distrusted Mark Anthony. Mark Anthony became worried about his safety and was forced to flee Rome. After fleeing, Anthony assembled an army of five legions but was defeated by Octavian and the forces of the Senate at the Battle of Mutina in Northern Italy (43 B.C.). The two consuls for that year were also killed during the battle. Antony was forced to retreat, and his cause seemed lost, but the Senators undermined their position with Octavian. After the battle, the Senate tried to take Octavian's army away and hand it over to one of Caesar's assassins. The Senate's miscalculation persuaded Octavian to enter an alliance with Anthony and Lepidus. This became the Second Triumvirate. The Triumvirate seized power and then divided the legions and provinces among the three men. The aim of the Triumvirate was to consolidate control of Rome and avenge the assassination of Caesar. They soon occupied Rome and launched a campaign of terror in the city, summarily killing their enemies. However, the Optimates and Caesar's assassins rejected the Triumvirate's authority and started a second civil war. Those who were involved in the assassination of Caesar were placed under the command of Cassius and Brutus. They controlled much of the eastern portion of the Empire. Antony and Octavian sailed with an army to confront their enemies and the two armies confronted each other at Phillipa in modern Macedonia or Northern Greece. The two armies clashed and after two decisive battles, the followers of Caesar prevailed. The battles had been closely fought and it was the personal bravery of Mark Anthony and the general Agrippa that ensured victory for the Second Triumvirate. The liberators and their Optimates allies all died in the battle or its aftermath. Brutus and Cassius committed suicide in the aftermath of the defeat. The defeat at Philippi was decisive and it effectively ended the Optimates as a military force. The Senate was also effectively neutered by the Triumvirate's victory. Successive defeats and a series of proscriptions had decimated the old Republican elite and they lost most of their power. Those who wanted to preserve the old ideas of the Republic no longer had the means or perhaps the will to prevent the concentration of power in the lands of one or two men. The assassination of Caesar was motivated by a desire to restore the old Republican system and restore the influence of the Senate. In essence, the assassination was a spectacular failure. Instead of restoring the republic, the old Roman Republic was destroyed. The Second Triumvirate saw the rise of Octavian and Mark Anthony, who became the most powerful man in Rome. Lepidus was decidedly the junior partner in the political arrangement. Octavian, Mark Anthony and Lepidus divided the Roman Empire between them, but Anthony and Caesar's heir soon deftly side-lined Lepidus. Anthony assumed responsibility for the pacification of the east which had become restive after the civil wars. Anthony successful reimposed Roman control over the Eastern section of the Roman Empire. The relationship between Mark Anthony and Octavian was sealed by a series of marriages. However, in truth, the two men were never really allies and both knew that there would be a day of reckoning. Still, the Second Triumvirate allowed Octavian and Mark Anthony to rule the Roman Empire. Octavian was the real power in Rome and he observed the forms of the Republican system. In the east, Mark Anthony began a relationship with the Ptolemaic Queen of Egypt, Cleopatra IV. For a brief period, the Roman territories were divided between Octavian who presented himself as champion old-fashioned Roman values and beliefs and Mark Anthony who seemed to be creating a personal domain for himself and Cleopatra in the east. For the entire duration of the Second Triumvirate, the Senate was subservient to Octavian and Anthony. The political arrangement between Anthony and Octavian that was made possible by the assassins who sought to preserve the Republic, did much to undermine the old system of governance and politics. Perhaps the most important result of the death of Caesar was the rise of his grand-nephew Octavian. He had not been particularly close to the great general and politician, but he was one of his last living male relatives. It seemed that the victor of so many battles saw something in the young man and Octavian was to prove his grand-uncle right. The death of Caesar cleared the way for the rise of Octavian and he was to prove to be one of the most calculating and brilliant politicians in the entire Roman era. The young Octavian was able to manipulate the situation to make himself master of the Roman world. For example, he goaded Mark Anthony into a war and he defeated him at the Battle of Actium. This was to make him master of the entire Roman world. Octavian learned from the assassination of Caesar and he did not make the same mistakes as the legendary leader. He was very respectful to the Senators and observed all the procedures. This was to placate the sensibilities of the Roman aristocracy. Octavian made sure that he did not goad the senators’, but he also controlled them. Caesar's heir slowly concentrated power into his own hands and created an Imperial system under the guise of a Republican system. He safeguarded his position by sharing power with the Senators and the rest of the Roman aristocracy. Many welcomed the stability that he offered and he governed the Empire wisely. However, he was slowly undermining the Republican rule. 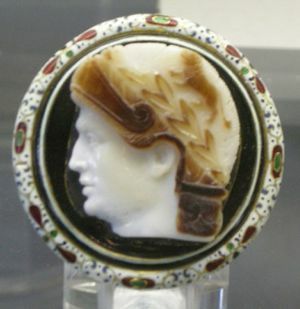 Octavian's pre-eminence was confirmed when he was granted the title Augustus. 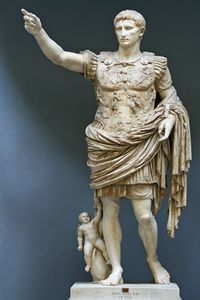 The title of Augustus cemented his hold on power and allowed him to pass on his position to a designated heir. The Senate established the first Roman Imperial dynasty. For this, Augustus is regarded as the first Roman Emperor and the founder of an Imperial system. The assassins of Caesar simply paved the way for the rise of the man who was to quietly dismantle the Republic. The death of Caesar at the hands of aristocratic Romans had far-reaching consequences. It resulted in two civil wars and the rise of Mark Antony and Octavian. The adherents of the Caesarean party sided with Octavian and Mark Anthony. The liberators and their Senatorial allies did not want to replace Caesar with Octavian and Anthony. The Liberators were smashed at the Battle of Philippi and the Roman Republic would never return. The defeat at Philippi was effectively the end of the military power of those who sympathized with the old Republican system. Caesar's death allowed Mark Anthony and Octavian to partition the Empire between them. While the empire was split between Anthony and Octavian, Octavian became the center of power in the Roman Empire. He was an effective ruler and did not repeat Casaer's mistakes. He created an imperial system while observing the outward form of the Republican system. As a result, he faced little opposition, even though he ended the Republic and crowned himself Emperor. The Imperial system created by Octavian lasted until 476 AD. What made Julius Caesar a great general? Why was Julius Caesar assassinated? How did Caesar's conquest of Gaul change both Rome and Gaul? How did Julius Caesar rise to power? Syme, Ronald, The Roman Revolution (Oxford, Oxford University, 2002). Canfora, Luciano, Julius Caesar: The People's Dictator (Edinburg, Edinburgh University Press, 2006). Jiménez, Ramon L., Caesar Against Rome: The Great Roman Civil War (New York, Praeger, 2006). 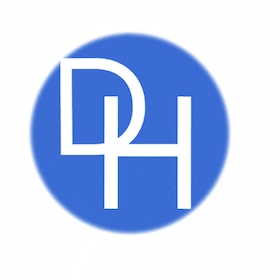 This page was last edited on 10 January 2019, at 01:34.